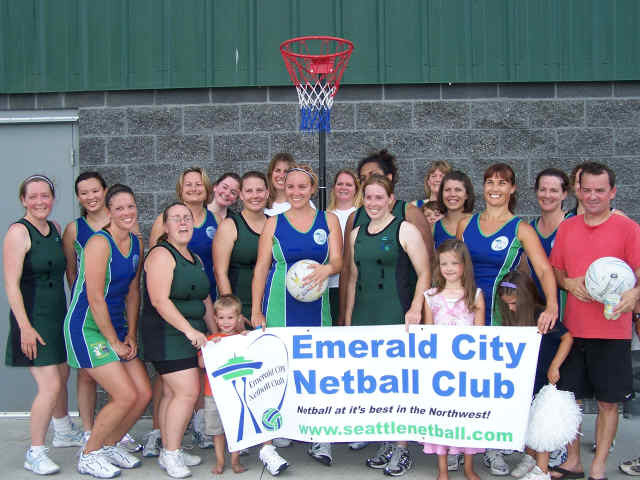 On Sunday, July 15, 2007 Emerald City Netball Club made history in the Northwest, and maybe the USA, by playing netball on artificial turf at the All Nations Cup soccer tournament! After marking out the netball court with tape we played in front of a growing audience at Starfire Soccer Complex in Tukwila. There were many comments like "what is this game?" and "is this another form of basketball?". After a brief description of the game and information leading them to our website we continued with our demonstration game allowing spectators to come and give it a go during the breaks. our shoes! One can only wish! !